Something sinister happened to Mackenzie's twin sister Breanne the last time the two girls were in Ireland. Now they're back and the winter solstice is approaching. 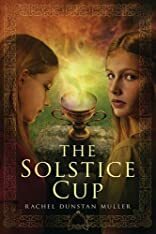 Breanne scoffs at their elderly relatives' tales of fair folk and banshees and the thin barrier between two worlds, but Mackenzie remembers what happened to Breanne five years before--at the summer solstice. Mackenzie is convinced the Otherworld is real, but is it a place of enchantment or enslavement for humans? About Rachel Muller (Author) : Rachel Muller is a published author of children's books. A published credit of Rachel Muller is The Solstice Cup.